This is the story of a boy, a banjo, and a career. Carl Jackson, singer-songwriter, Grammy winner, entrepreneur, producer, and musical polymath. It traces its roots to Louisville, Mississippi, where Jackson was born in 1953, through a stint with classic bluegrass greats Jim & Jesse McReynolds beginning when he was only 16, into a 12 year commitment with country great Glen Campbell, into writing iconic bluegrass and country songs, mentoring countless young and upcoming musicians, and still more. 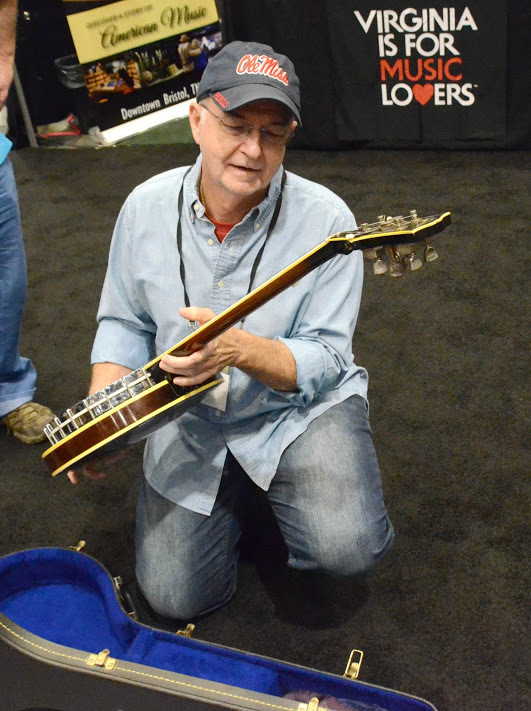 It culminates, for the moment, in Jackson’s love of tradition, personified in his acquisition only a few weeks ago his first top-grade banjo, a Gibson bowtie, that he had bought when he was 12 years old, traded to Jesse McReynolds, and found again after having seen it only once in the past 50 years. After three years, with Jim & Jesse McReynolds – one of bluegrass music’s all-time great bands, a brother duo mentioned in the same breath as the Louvin Brothers and Ralph & Carter Stanley – Jackson was asked by Glen Campbell to join his band, where he stayed for 12 years of touring. During that time, he matured as an artist and as a songwriter and producer. Here he is, with Campbell, playing “Dueling Banjos,” the key song from the film Deliverance. Meanwhile, Jackson was writing songs, establishing himself as a top songwriter, charting singles with an A-list of country and bluegrass artists. In 1993, “No Future in the Past,” performed and co-written with Vince Gill, reached #3 on the country charts while Gill was named Entertainer of the Year and Male Vocalist of the Year. Great country and bluegrass composers seem to revel in writing road songs, perhaps because of the amount of time they spend away from loved ones, home and family. “Erase the Miles,” recorded by IIIrd Tyme Out, has become an iconic road song frequently sung at festivals and in jams. It’s a classic of bluegrass road songs as well as one of Jackson’s signature pieces, requested everywhere. One of Jackson’s great strengths remains his ability to communicate genuine emotion through his songwriting. Carl Jackson is a conservative man who treasures both the simple pleasures and the sense of community he finds in his past. Recent recordings he has produced celebrate the life of Mark Twain on the Mississippi and, in Orthophonic Joy, the “big bang of country music” that occurred when, in 1920, Ralph Peer recorded great early country singers in Bristol, TN. He works hard to keep traditional country music and bluegrass music alive. Here’s Jackson with Glen Campbell’s daughter Ashley playing John Hartford’s classic song “Gentle on My Mind” at the Larry’s Country Diner TV show.